Our Goal is to build a monument worthy of your loved one. Using the best granite and material available, taking our time to get it right. We are the only shop in the Batesville area that puts a quality foundation under your monument. It seems like a small thing, but the detail right down to the foundation that isn't seen is so very important! We set monuments within a 50 mile radius of Batesville, Arkansas. You can be sure that your monument will be set with a quality foundation and we guarantee our work. 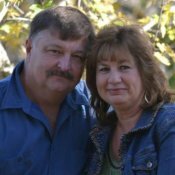 McKenzie Monuments, Inc. is owned by Charles and Debbie McKenzie. We are a local family owned business and we care about providing you with a quality monument to honor your loved one. Our monuments are built using the highest quality granite from quarries in the United States. All headstones and monuments are built right here in our shop in Batesville, Arkansas. Take a look at our Gallery to see some of our previous quality work.